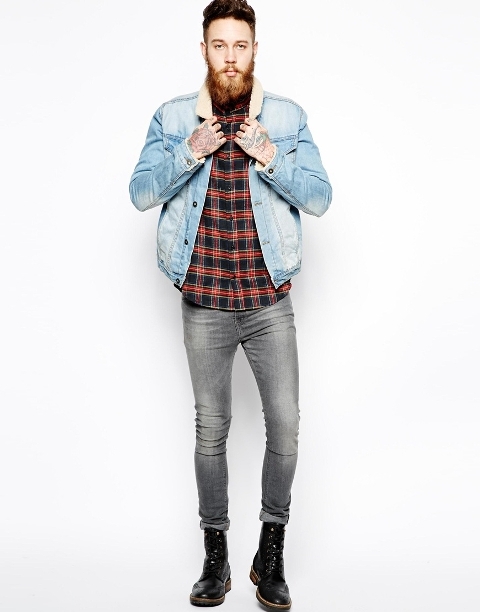 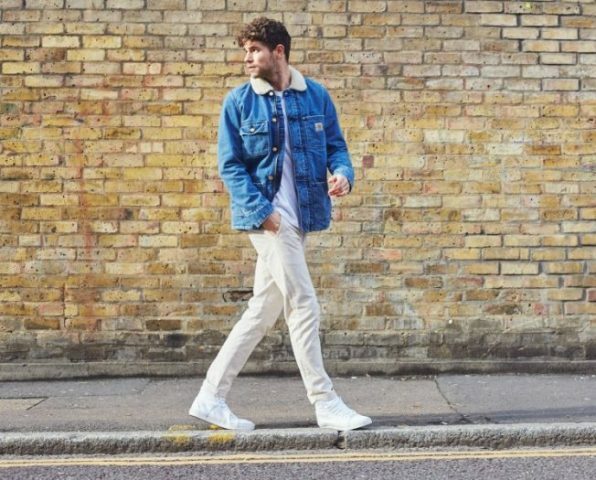 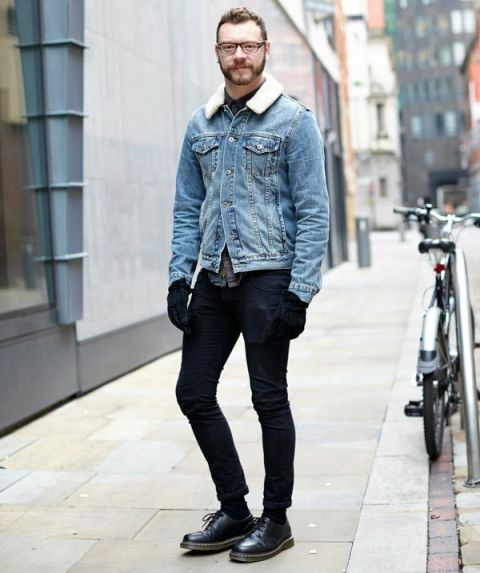 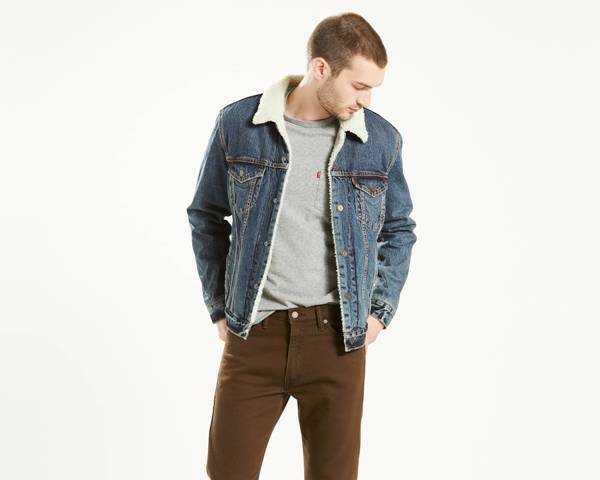 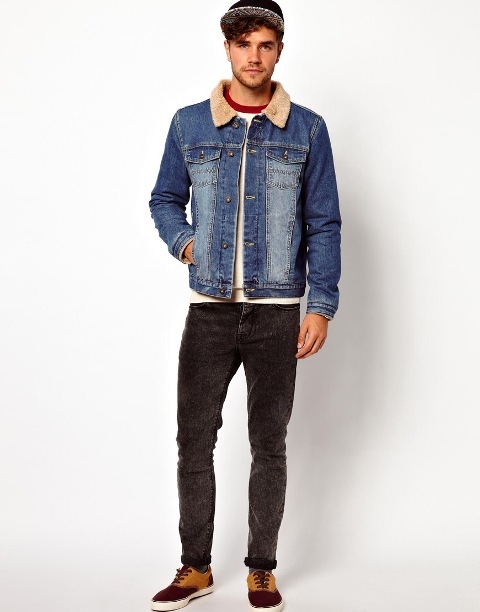 Many guys love to wear denim jackets, but what about winter days when weather isn’t so warm? 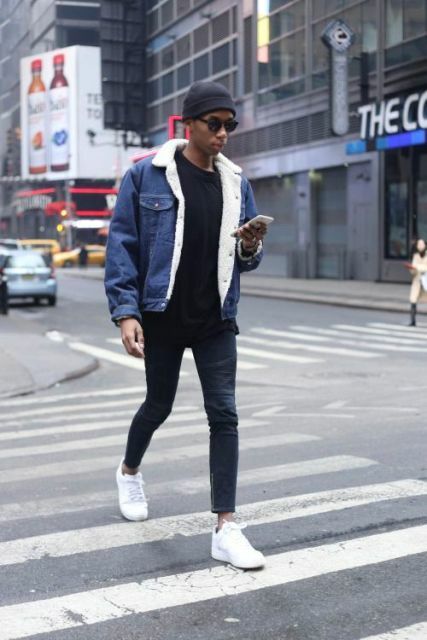 In this case, designers have an absolutely cool idea, they add a faux fur to denim jackets. 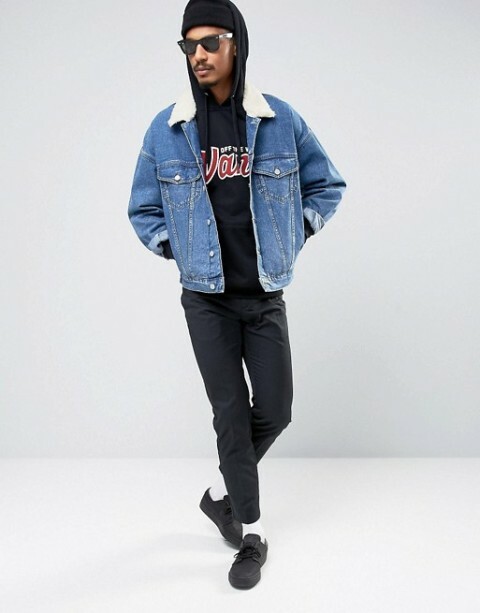 So today you can pay your attention to fur collar denim jackets and ways how you can combine them with other pieces of clothes. 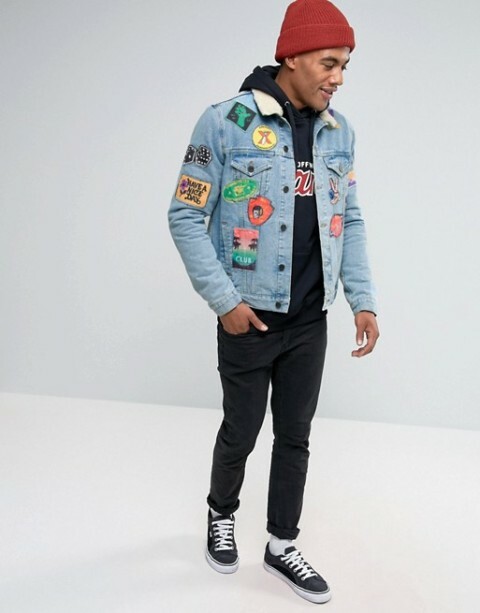 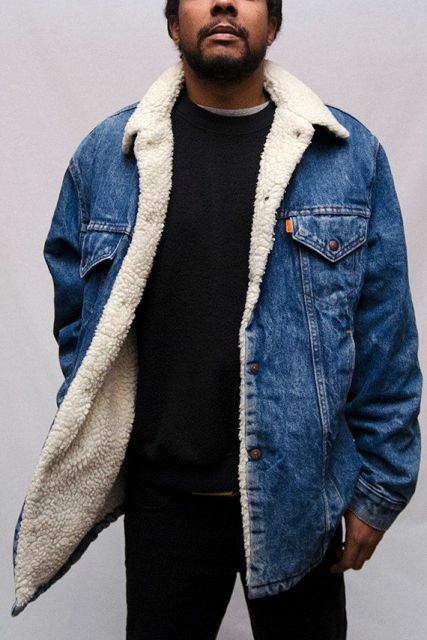 You can choose this item from a navy or light blue, gray, black or beige denim fabric, add some accessories to make your look completed, for example, a beanie, a scarf, sunglasses, etc. 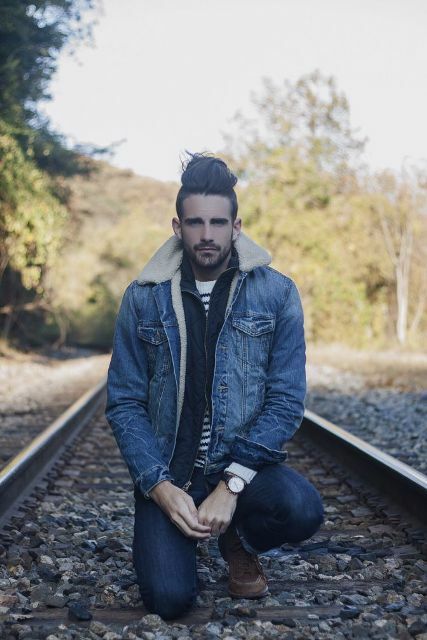 Now you should scroll down to see all ideas, that will totally inspire you! 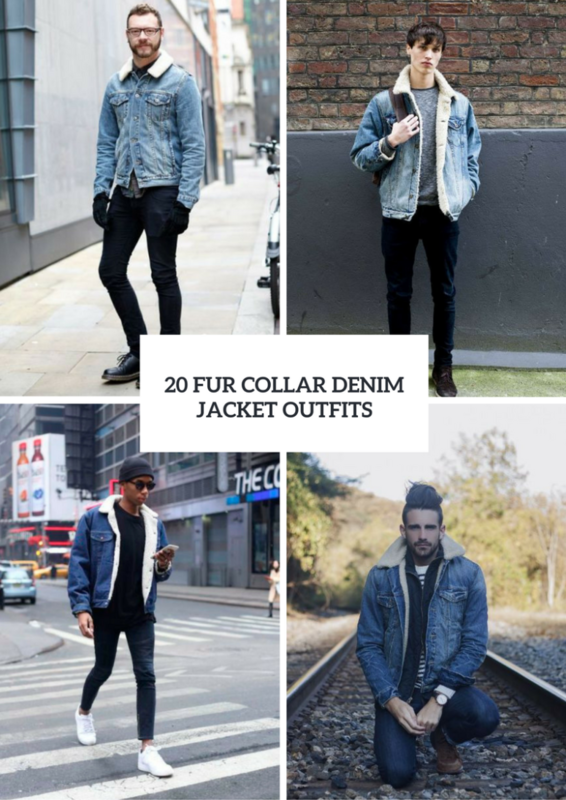 There are so many various stylish ideas for casual outfits, for example, you can combine a light blue fur collar denim jacket with a red and black plaid button down shirt, gray skinny jeans and black patent leather mid calf boots. 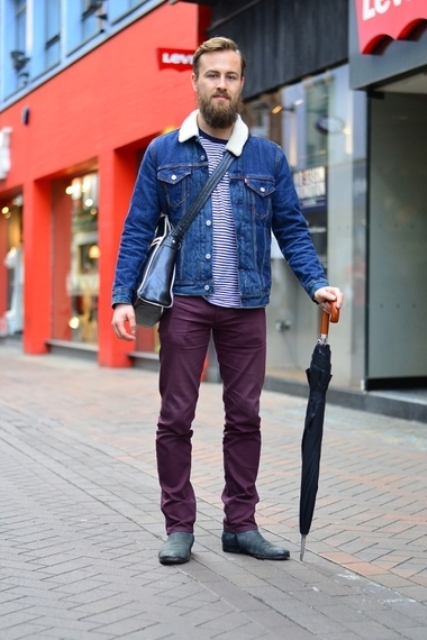 Or you can take a gray t-shirt, loose jeans, duck boots and a brown suede flat cap. 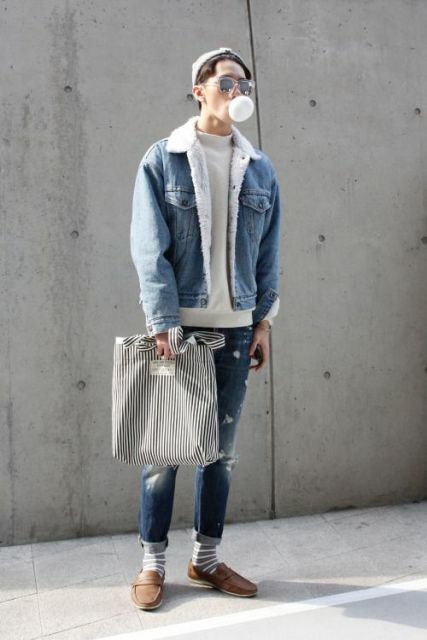 If you want to look more eye-catching, then take a gray sweatshirt and mix it with a denim jacket, distressed cuffed jeans, striped socks, brown shoes, a gray beanie and a striped tote. 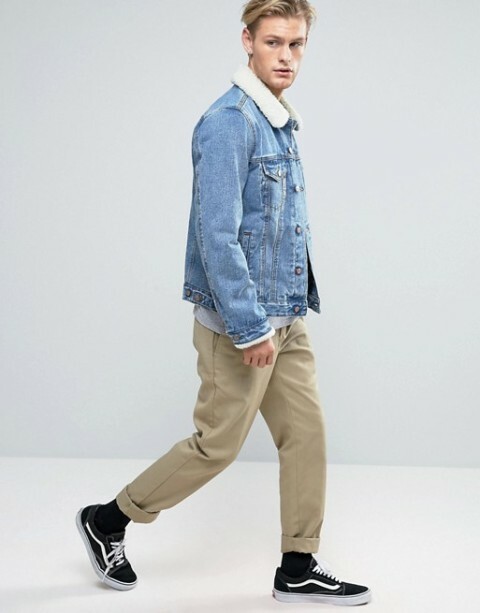 If you love colorful pants, then you can repeat an outfit with a striped shirt, a denim jacket, purple straight pants (or you can take marsala ones), gray boots and a black leather crossbody bag. 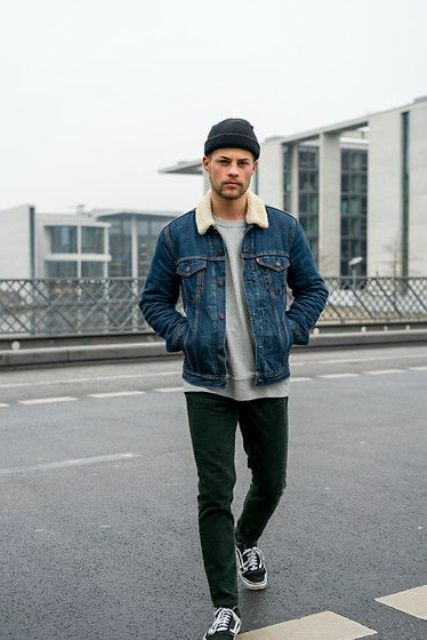 Or you can make a sporty look pairing a gray shirt (or a printed hoodie), a jacket, a black beanie, dark green pants and two color sneakers. 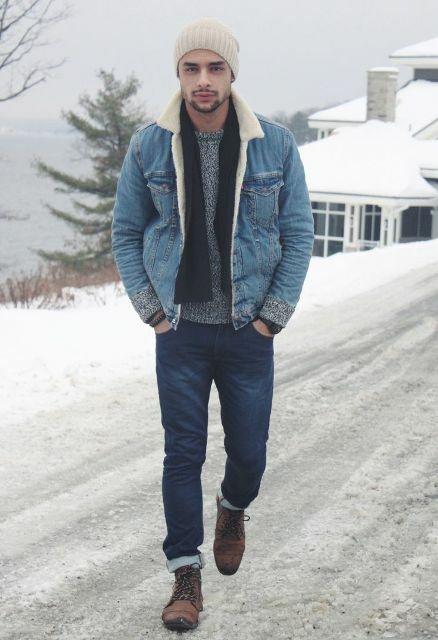 Don’t be afraid to mix fabric textures, for example, combine a gray wool sweater, a denim jacket, navy blue velvet trousers and suede boots. 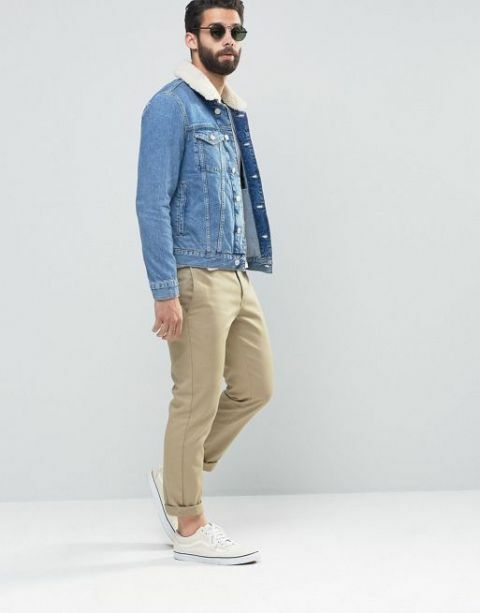 Or you can easily change velvet trousers to corduroy ones and add a baseball cap and marsala and brown shoes to this outfit.